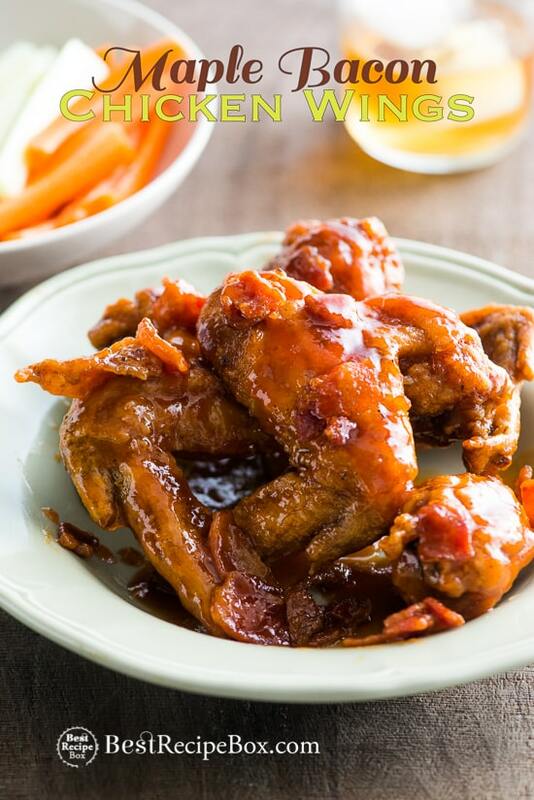 If you’re a fan of honey mustard sauce, you’ll love this finger-licking good honey mustard chicken wings recipe. 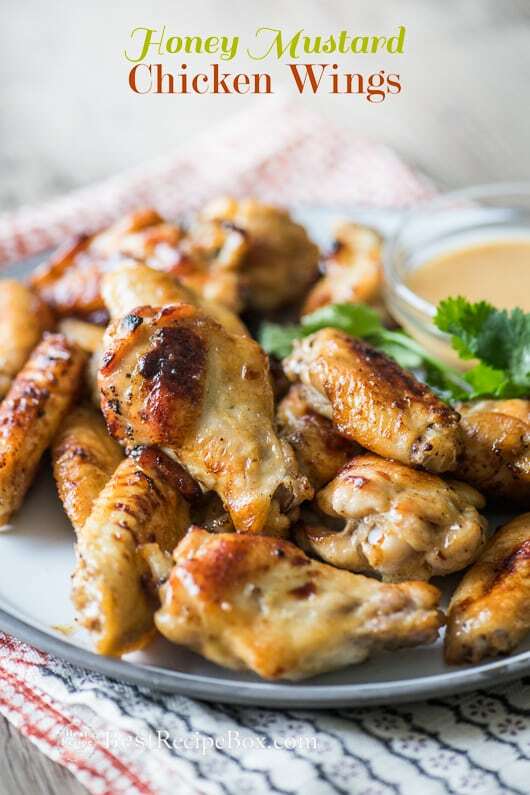 Our 5 minute lazy-mans honey mustard sauce is truly super easy and it’s the inspiration for this easy baked chicken wings. Or if you want them crunchy, you can definitely deep fry them and we give you the recipe technique below as well. This honey mustard sauce is seriously one of the easiest sauces you can make. Coat the chicken wings a bit of the sauce and bake them to a nice crisp in the oven. When the chicken wings are cooked, we add another douse of honey mustard sauce on the wings. And then the triple threat comes when you dip these yummy chicken wings in another bowl of honey mustard sauce. Like we mentioned, if you’re a fan of honey mustard, these awesome party chicken wings are for you. 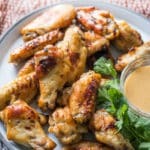 We’ve created quite a collection of chicken wing recipes and hopefully you’ll be able to cook through all of them because they truly are the best game day appetizer recipes for Super Bowl or any party gathering. Summer is also a perfect time for chicken wings. And you must try this amazing Buffalo Chicken Dip recipe for Game Day! Enjoy! 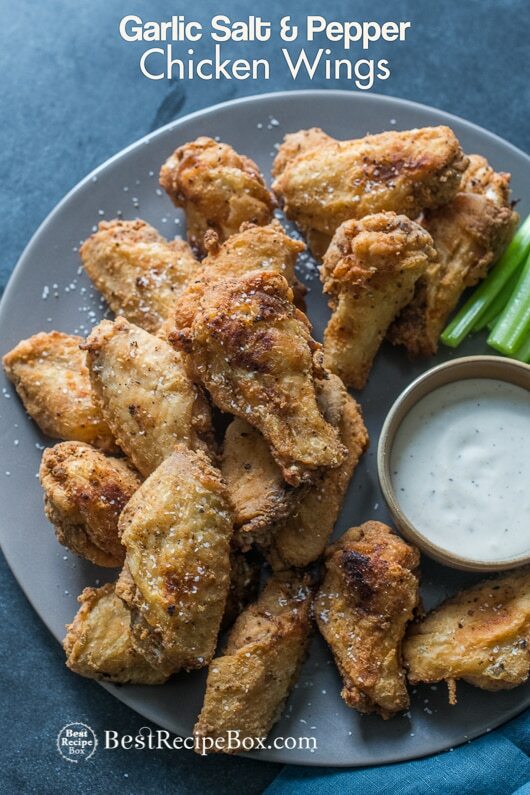 Here’s Our —> Best Chicken Wing Recipes . Please read recipe post for more recipe details and photos. Chicken wings can be prepared in different ways: fried or baked, dredged in flour or not. Visit this write up on different ways to prepare chicken wings. This recipe shows a baked technique, but you can certainly fry them if you like for extra crispy-ness. Whisk the honey mustard sauce ingredients in a bowl (mayonnaise, dijon mustard, honey, vinegar, cayenne pepper and paprika) until sauce is smooth and combined. Season with salt and pepper, to taste. Set aside. Rinse and pat dry chicken wings. If desired, cut wings into wingettes and drumette pieces. Add wings in a large bowl. Season wings liberally with salt and pepper. Follow directions for either baking or frying the chicken wings. Pre-heat oven to 425°F. Line a baking sheet pan with parchment paper. Lightly coat chicken wings with the vegetable oil. Spread chicken wings on baking sheet pan. Add about 3 Tablespoons of the honey mustard sauce to the wings. Gently stir to lightly coat wings with the sauce. Bake for about 50 minutes, or until golden and cooked through. 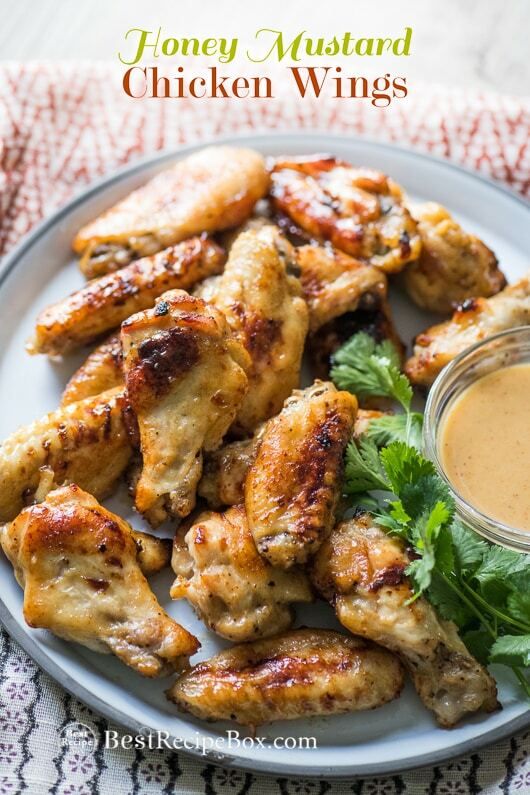 Toss the cooked wings with remainder honey mustard sauce or serve the sauce as a dip. Season with additional salt and pepper to taste. In bowl, combine flour and cornstarch. Coat chicken wings with flour mixture. Heat oil about 1” deep in large skillet to 350-375° F.
Gently place wings in hot oil in batches so they don’t crowd each other and stick together. Fry wings on both sides until golden brown and cooked through, about 3-5 minutes per side. Remove chicken wings from oil and toss the cooked wings with the honey mustard sauce or serve the sauce as a dip. Season with additional salt and pepper to taste and enjoy! I wasn’t able to get the video to come up on the Honey Mustard Chicken wings, no matter what I clicked on and I went into several areas to try.